The “Speech or Debate Clause” provides powerful protection to members of Congress and prohibits the Executive Branch from prosecuting those with whom it does not agree. One of the first cases to interpret the Speech or Debate Clause is United States v. Johnson. In order to enable and encourage a representative of the public to discharge his public trust with firmness and success, it is indispensably necessary, that he should enjoy the fullest liberty of speech, and that he should be protected from the resentment of every one, however powerful, to whom the exercise of that liberty may occasion offence. The Johnson case, which was decided in 1966, involved a former Congressman was indicted and convicted on seven counts of violating a federal conflict of interest statute and on one count of conspiring to defraud the United States. The Court of Appeals for the Fourth Circuit set aside the conviction on the conspiracy count, holding that the Government’s allegation that Johnson had conspired to make a speech for compensation on the floor of the House of Representatives was barred by the Speech or Debate Clause. The Court concluded that the inquiries into the Congressman’s speech tainted the conspiracy prosecution and ordered a new trial. In reaching its decision, the Court broadly interpreted the Speech or Debate Clause. “We believe the Speech or Debate Clause extends at least so far as to prevent it from being made the basis of a criminal charge against a member of Congress of conspiracy to defraud the United States by impeding the due discharge of government functions. The essence of such a charge in this context is that the Congressman’s conduct was improperly motivated, and as will appear that is precisely what the Speech or Debate Clause generally forecloses from executive and judicial inquiry,” Justice John M. Harlan II wrote. In his opinion, Justice Harlan provides an extensive review of the history of the Speech or Debate Clause, noting that it has its underpinnings in the English Bill of Rights of 1689. “Since the Glorious Revolution in Britain, and throughout United States history, the privilege has been recognized as an important protection of the independence and integrity of the legislature,” he explains. 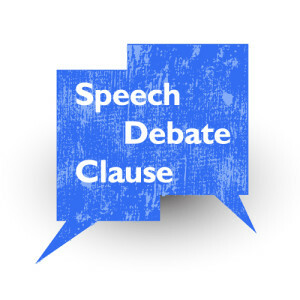 In 1972, the Supreme Court issued another key ruling interpreting the Speech or Debate Clause. In Gravel v. United States, the justices held that the privileges of the clause extended to Congressional aides, but was confined to legislative activities. The case involved the effort of Sen. Mike Gavel to publish the now infamous Pentagon Papers.